Seminar Series 2018 – Idalis Villanueva, Ph.D.
Home All Events Seminar Series 2018 – Idalis Villanueva, Ph.D.
Over the past two decades, the field engineering education has been recognized as a new discipline of research. While practices and approaches to improving engineering education continues to be the main premise of the field, new methodologies and approaches are being created to explore the influences of these pedagogical practices in the classroom. In this seminar, the importance of and need to incorporate theories into the practice of engineering education will be introduced. Furthermore, data sources such as surveys, student performance, biometrics, and drawings will be discussed and its integration will be explained. One primary emphasis of this talk will be on “what” and “how” engineering students’ perceive and react to when asked to perform in authentic examination experiences. This seminar will present work that is in the cusp of the next frontier in engineering education: interdisciplinary and multi-modal forms of research that can inform current and future engineering educators about the pedagogical and motivational influences of their courses to students. 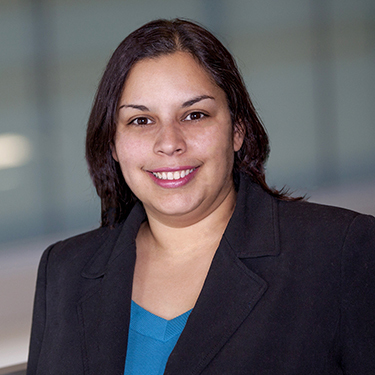 Dr. Idalis Villanueva has a Ph.D. in Chemical and Biological Engineering from the University of Colorado-Boulder and a postdoctoral degree from the National Institutes of Health in Analytical Cell Biology. After her postdoctoral fellowship, she worked as a lecturer in the Fischell Department of Bioengineering in the University of Maryland where she developed an interest in engineering education research. For the past 7 years, Dr. Villanueva has worked on several engineering education projects where she derives from her experiences in engineering to improve outcomes for underrepresented minorities in engineering using mixed-methods approaches. She currently is an Assistant Professor of Engineering Education and Adjunct Assistant Professor of Biological Engineering at Utah State University.